This image was inspired by one of my favourite wedding photographers, and my mentor, Jerry Ghionis. I remember seeing Jerry's image at a workshop and when on the wedding day, I noticed a beautiful hair clip on the Bride's head and a blank wall behind her, I wanted to try my own version of that beautiful photo. 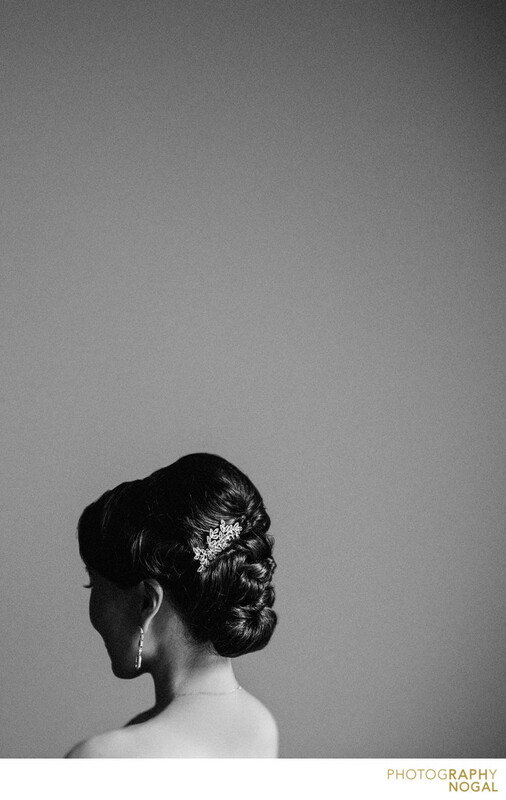 This photo features a lot of negative space to draw your eye right into the bride's hair. She is turned away and her face is actually in shadow, the further draw attention to her hair and hair piece. This image won a Silver Award at Portrait and Wedding Photographers International (WPPI) for Wedding Details.